Trooper Jack Woodvine has just arrived at the Chateau de Desgravier where he learns that he has the job of taming, the temperamental stallion Apollo but he doesn’t realise that his real challenge will be resisting her Captain. Captain R. B. Thorne is impressed with his newest recruit, and it seems that the Trooper has managed to not only charm Apollo but her Captain as well. I have recently realised that it is vital that a story have you invested in its characters from the very beginning and I must say that this story managed to do just that with the introduction of Jack, Queenie and Captain Thorne. Before I knew it I was thoroughly engrossed in the story of Jack and Thorne. It really took me by surprise how quickly I was in love with these two characters and before I knew it I was rooting for these two to be together. I loved how they first came to consummate their desires. It was amazing how well these two fit together. 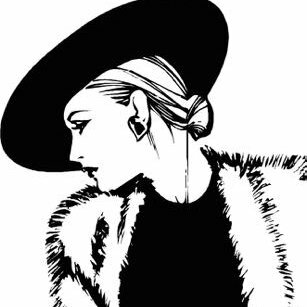 The story is set in and around the Chateau, its fairy tale like visage keeps the brutalities of war just miles away rich in the minds of its residents and us readers. This helps add the necessary gravitas to their love story because these two truly love each other like every day together could be their last. I love how this book is so intensely focused on this love story that even the horribleness of war can’t keep love from blooming and despite hardships and hard times love always finds its way despite petty grudges and despite things as daunting as a World War. Going into this story I had no idea how I would feel after I finished reading it but reading this story has made me so happy that I find myself wanting to read other books by the authors. I really loved this story how it evolved in an almost meandering way with troubles along the way but nothing is strong enough to keep these two apart. That epilogue at the end really had me wishing for an eternity of togetherness for these two. Cover Art by Posh Gosh. I really liked this cover despite my non-preference for covers with actual people on them, but the models on the cover really embody the personalities of Jack and Thorne and very closely resemble my mental picture of these two, so I am absolutely in love with the cover. Also, that smirk is killer. This entry was posted in Books, Historical, LGBTQ Book Reviews, M/M Book Reviews, M/M Fiction, M/M Romance and tagged A VVivacious Review: The Captain and the Cavalry Trooper (The Captivating Captains #1) by Eleanor Harkstead & Catherine Curzon, authors Eleanor Harkstead & Catherine Curzon, m/m historical romance, Pride Publishing, The Captain and the Cavalry Trooper (The Captivating Captains #1) by Eleanor Harkstead & Catherine Curzon, The Captivating Captains series by Eleanor Harkstead & Catherine Curzon. Scattered Thoughts and Rogue Words is happy to have Elliot Joyce here today talking about his latest novel In the Desert, a States of Love novel from Dreamspinner Press. Welcome, Elliot. Hello, I’m Elliot Joyce, the proud author of the upcoming novella In The Desert. The book is about two queer young men who live in Arizona and how they face down their personal fears, whether it be about identity or societal expectations, in order to pursue something — or rather someone — that makes them happy. Without giving too much away, Wren and Felipe come from opposite situations. While Wren is the oldest of his siblings and has a certain level of pressure to “perform” as the responsible one, Felipe is the darling of the family — and the youngest. Wren also has a very healthy and traditional family, while Felipe was raised by his grandmother ever since his parents lost custody. That isn’t to say that his family life isn’t healthy. The amount of support Felipe has as he pursues his studies, hoping to go to college unlike his parents, is shown throughout the story. He is loved by his family and loves them back — which is why he’s so concerned as he starts to realize his romantic feelings for Wren. Wren also comes from a much more liberal, secular family while Felipe is rather Catholic — seriously enough to cross himself when he passes under the cross hanging above his grandmother’s kitchen doorway for example. Religion doesn’t play a huge part directly in the book, but it provides a backdrop and more information as to who these people are. Felipe also gets along better with his siblings — at least he does now — than Wren, who argues and fights with his two younger sisters and his younger brother. Wren is bitter that his siblings don’t understand him and doesn’t feel like they support him while Felipe relies on his older siblings to have his back. The two have different family lives and different pasts, which makes them meeting even more of an unusual event. However, both Wren and Felipe are loved and supported in many ways, not only by their family but by their friends, and that’s really the crux of the story. In The Desert takes place in Arizona and it would have been easy to talk about homophobia or transphobia, both of which are unfortunately rampant in the state. But even though Arizona does have its faults — I lived there for over a decade so I feel pretty confident in my ability to assess its qualities — there are good people there. I wanted In The Desert to look at those people but I also knew I wanted to look at what it is like to not know how you feel. Felipe’s never had romantic feelings towards another young man and his only interaction with queer people is with another Boy Scout, a transgender guy who barely talks to Felipe outside of meetings. Realizing that you’re gay or bi or trans or whatever can be terrifying, especially when you aren’t sure how your family will react, and I wanted Felipe to capture that. Hopefully audiences can empathize with him regardless of their own personal experiences. On the flip side — and continuing the contrasts between Felipe and Wren — there’s Wren who has already come out to pretty horrible consequences. We see the aftermath of him coming out as transgender, with him switching schools and practically friendless. He struggles, at points, with mental health which is unfortunately a very realistic and very normal thing for transgender folks. He also feels like his parents — and by extension his younger siblings — are not as supportive as they could be. Wren in many ways captures that feeling of loss and lack of support, but the reality is that he does have support from his family even if it’s at their own pace. Coming to terms with that is important to Wren’s development outside his relationship with Felipe, where Wren fears that Felipe sees him as a girl. Like I said above, I won’t spoil anything and there’s plenty in the story itself to be dissected and enjoyed. Thanks for reading this post and check out In The Desert, coming to an e-book shelf near you. This entry was posted in Book Reviews, Books, Contemporary fiction, Dreamspinner Press, eBooks, LGBTQ Book Reviews, M/M Book Reviews, M/M Contemporary Fiction, M/M Fiction, M/M Romance and tagged @eleldelmots @dreamspinners #InTheDesert #newbookrelease, author Elliot Joyce, coming out, Contemporary / New Adult, Dreamspinner Press States of Love series, In the Desert (States of Love) by Elliot Joyce, Series States of Love | Arizona, transgender chracter. Scattered Thoughts and Rogue Words is happy to host Alex Beecroft’s latest novel Contraband Hearts, one of our recommended story. Check it out and don’t forget to enter the giveaway. This entry was posted in 5 star Rating, Book Giveaways, Book Tours and Contests, Books, eBooks, Historical, LGBTQ Book Reviews, M/M Book Reviews, M/M Fiction, M/M Romance, Riptide Publishing, Uncategorized and tagged A Scattered Thoughts and Rogue Words Highly Recommended Story and Series, author Alex Beecroft, Contraband Hearts (Porthkennack #10) by Alex Beecroft, m/m historical romance, Riptide Publishing's Porthkennack series. 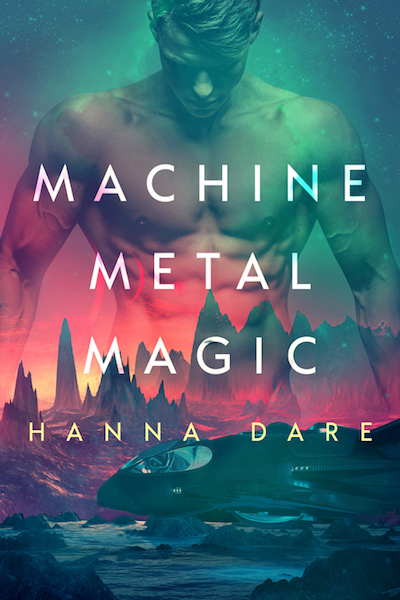 This entry was posted in Book Reviews, Books, eBooks, LGBTQ Book Reviews, M/M Book Reviews, M/M Fiction, M/M Romance, Science Fiction, Self Published and tagged author Hanna Dare, LGBTQIA Science Fiction, m/m science fiction, Machine Metal Magic by Hanna Dare, Signal Boost Promotions.